Wei Zhang has nearly a decade of experience in practicing intellectual property law. He has represented clients spanning from multinational corporations to start-ups in various industries, with a focus on the pharmaceutical and biotechnology fields. He advises clients on the development and management of U.S. and foreign patent portfolios involving a wide range of technologies, including small molecule drugs, protein and antibody drugs, immunotherapy, molecular diagnostics, and medical device. He also investigates and prepares opinions regarding freedom to operate, invalidity and non-infringement issues. 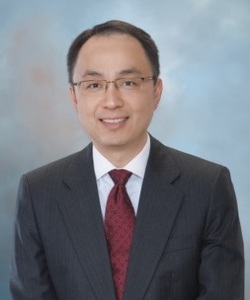 Mr. Zhang has represented clients in patent infringement and licensing agreement disputes in the U.S. He is also familiar with patent opposition and invalidation proceedings in various foreign jurisdictions, such as Europe, China, Japan and Korea. Additionally, he performs IP and litigation due diligence investigations in connection with acquisition, licensing, and technology transfer transactions. Prior to joining MagStone, Mr. Zhang worked for the law firm of Jones Day in its New York office. He was named as a New York-Metro rising star for intellectual property law by Super Lawyers in years 2014-2016. He attended Vanderbilt University Law School and received a Juris Doctor degree. During law school, he was an extern to the Honorable Vice Chancellor Lamb at the Delaware Court of Chancery. He received his B.S. degree in biology from the University of Science and Technology of China and an M.S. degree in chemistry from the University of Delaware. Mr. Zhang is admitted to practice in New York and is registered to practice before the U.S. Patent and Trademark Office.